For use with dogs and puppies 3 months and older. 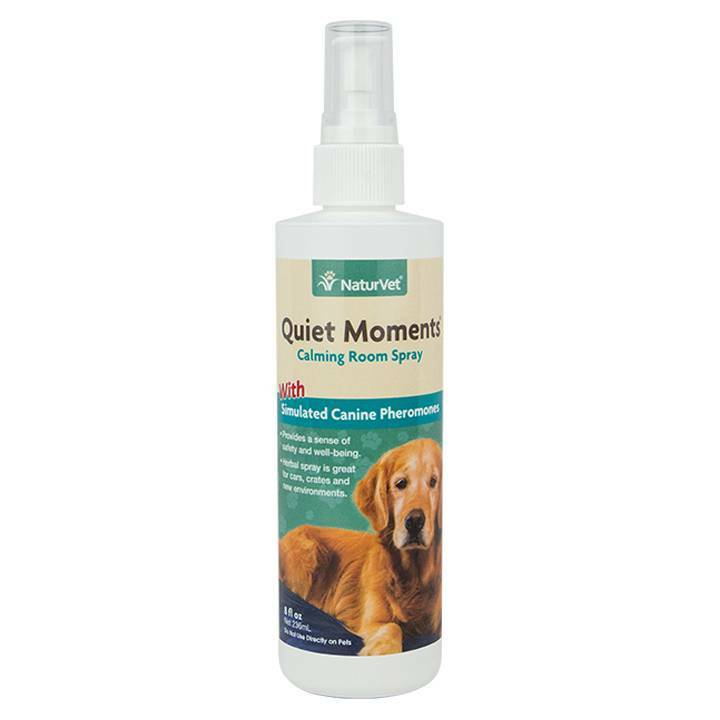 Quiet Moments® Herbal Calming Spray is formulated to simulate the type of canine pheromones that provide dogs with a sense of safety and well being. Your pet will find comfort in the light fresh fragrance. This product can also be used with Quiet Moments® Tablets when extra support is needed for occasions such as: Fireworks, Traveling Visits to the Vet, Grooming and New Environments. Purified Water, Special Proprietary Blend of Fragrance Extracts (Simulated Canine Pheromones), Sodium Lauryl Sulfate, Rosemary Oil, and Clove Oil.